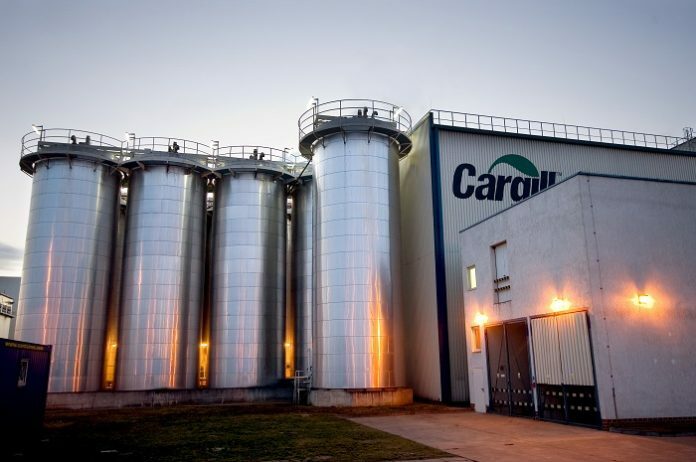 Through a joint venture between Cargill and ARASCO, the Kingdom of Saudi Arabia (KSA) has a new corn milling facility to meet the growing demand of the region’s food and beverage industry. The Middle East Food Solutions Company (MEFSCO Corn Milling Facility), inaugurated today in Al-Kharj, is Cargill’s first investment in KSA. The MEFSCO facility was built to serve the Gulf Cooperation Countries (GCC), which include Saudi Arabia, the UAE, Kuwait, Oman, Bahrain and Qatar. With the new plant, the joint venture is able to double its glucose and starch production capacities, triple total production volume and expand its product portfolio to include high fructose corn syrup to meet the growing demand across the confectionery, juice, bakery and catering segments in the region. The MEFSCO joint venture was established by Cargill and ARASCO, a leading food manufacturing in KSA, in 2013. The new starches and sweeteners facility marks the joint venture’s first investment in KSA. Önceki İçerikÇocuklara besleyici ve eğlenceli tarifler! Sonraki İçerikOxfam: Yüzde 1’lik kesim, küresel servetin yüzde 82’sine sahip!